Jacki and Stephanie Fowler, one month after a kidney transplant. As the ninth leading cause of death in the United States, kidney disease affects thousands of people in Delaware and their families, with roughly 2,175 currently on dialysis and more than 400 on the organ transplant waiting list. About 9,300 residents of Maryland are impacted by kidney disease. And with the increase in the incidence of diabetes and high blood pressure nationwide, those numbers continue to climb. To call attention to the prevention of kidney disease and the need for organ donation, to raise funds, and to provide an opportunity for patients, family, friends and businesses to come together to support the millions of Americans with chronic kidney disease, each year Kidney Walks are organized around the country. The area’s two Kidney Walks are set this year for April 29 at Cape Henlopen State Park in Lewes and May 6 in Salisbury, Md., and local families are planning to participate. The Ferracci family of Millsboro is one of the families battling the life-altering disease. Kristy Ferracci — the Delaware Kidney Walk chairperson — donated a kidney to her husband Michael 11 years ago. She is a dialysis technician at Beebe Healthcare in Lewes. She also works at the dialysis clinic in Rehoboth Beach. Their son R.J. is 16 and has his own team in the walk as well. “My husband, Michael, was a patient when I met him,” Kristy Ferracci said. “We just started talking because he was having his treatments in the evening after work. He asked me to dinner for my birthday in 2005. In April 2006, we got engaged, and we were married by September later that year. They will be participating in the Delaware walk on Sunday, April 29, at the Cape Henlopen State Park in Lewes, beginning at 11 a.m. Walkers can register on the day of the event, beginning at 10 a.m.
More than 600 people are expected to attend the Delaware Kidney Walk. Participants can choose from a 3-mile route or a shorter, more patient-friendly, route for strollers and wheelchairs. The day will also feature entertainment, refreshments from Starbucks, Giant and Panera, a petting zoo, photo booth, interactive vendor booths, and the Kidney Kids Corner with face painting and games. 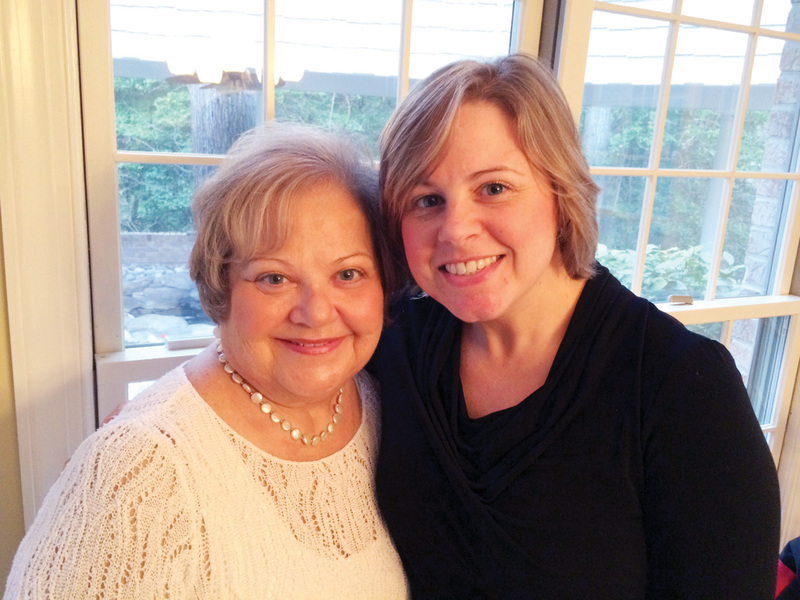 Stephanie Fowler, a Frankford resident, donated a kidney to her mother, Jacki, on March 9, 2015. They will be participating in the Salisbury Kidney Walk on Sunday, May 6. “Today my mother is healthy and happy,” said Stephanie Fowler. “On her last visit to her kidney specialist in Baltimore, the doctor told her that it is rare to find a patient so compliant and with such a positive outcome for a transplant. And how happy was she to find out she was the “perfect match”? More than 500 people are expected to attend the Salisbury Walk, which will take place at Winterplace Park & Equestrian Center. Registration begins at 9 a.m. that day, with the walk starting around 10 a.m.
Like the walk at Cape Henlopen State Park, participants of the Salisbury walk can choose from a 3-mile route or a shorter path that better accommodates strollers and wheelchairs. Refreshments by Panera Bread, Giant and Starbucks will also be provided. Music will be by Moonbeam Entertainment, and the Kidney Kids Corner will have face painting and games. In our May 4 issue, we will have a story on former Indian River High School coach Howard Smack, who earlier this month went through his own kidney transplant procedure.